You're driving along and suddenly your car has no power. What should you do? In this post we will discuss where the power to run your car's electrical systems comes from, what your battery and alternator do, and how to check the source of a sudden loss of power. If you are experiencing a loss of power in your vehicle and you need to have a professional look at it, contact the experienced and trustworthy experts at Hansma Automotive. Where Does Your Car Get Its Electrical Power? Today's gas and diesel powered vehicles get their electrical power from two sources: the battery and the alternator. The battery stores power and the alternator generates power while the engine is running. Your alternator works in conjunction with your battery. It generates power while your engine is running and provides the necessary electricity to run components such as your headlights, wipers, and radio. It also recharges your battery. If you are driving your vehicle and suddenly everything "dies", i.e. all of your electrical devices stop functioning, then that means that power isn't getting to them. If your engine stops as well, then the ignition system is also not receiving the power it needs to function. Sometimes this can just be a temporary failure and the vehicle will all of a sudden begin to work again. Possible causes of a power failure could be either bad battery connections, a bad ignition switch, or a bad alternator. If you are losing power, the first thing that you should check is your battery connections. Examine both the positive and negative cable connections to make sure that they are tight. If you see any signs of corrosion, then you should clean the terminals and cable ends before you tighten them up. It's also a good idea to follow the cables to make sure that they are tight at the other end as well. The following video shows you how you can check your battery cables. Checking your ignition switch is more complicated than checking your battery cables as it involves taking apart a variety of trim pieces in order to access it in the steering column or dash. You will be looking to see if you can visually see any burned wires. If you are unsure of how to do this then it is a good idea to take your vehicle to an auto repair shop that you trust. If the ignition switch is damaged then it will need to be replaced. "Been a customer at Hansma's for many years. Had a 1990 pickup that ran like a new vehicle due to the work and upkeep they gave it. Awesome service, friendly staff." - Marian Z. The following video demonstrates how to access and troubleshoot the ignition switch. If your car has no power it may be a sign that your alternator is beginning to wear out. When your alternator stops functioning, then your vehicle's electrical system will be getting its power solely from the battery. Once your battery runs out, everything will shut down. It isn't easy to test your alternator at home and it is best to take it to a professional. It is important that you find an auto repair shop that you can trust to know what they are doing and to only carry out the necessary repairs. Hansma Automotive is that type of auto repair shop. 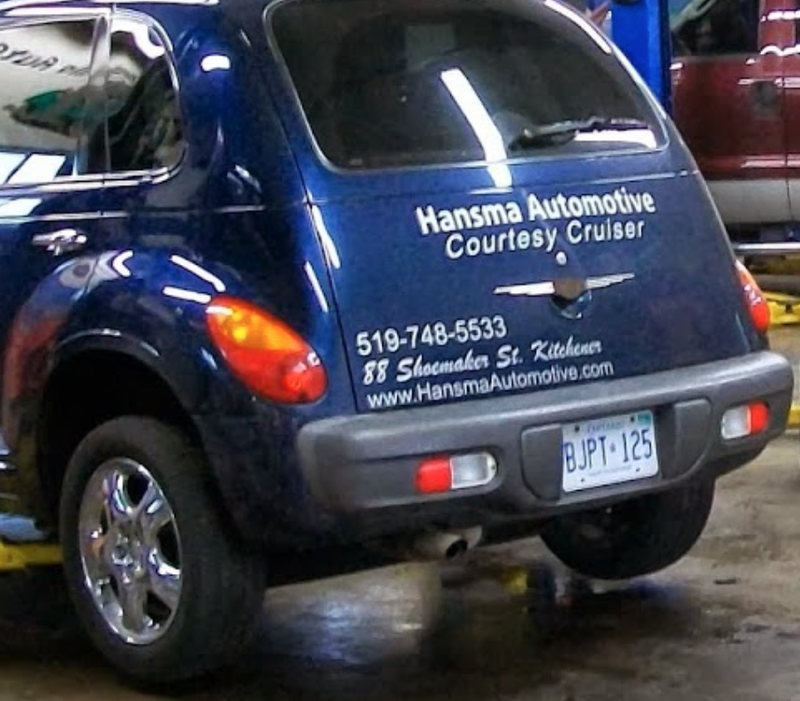 Hansma has a 4.8 rating on Google reviews and carries out a full range of auto repairs on all makes of vehicles. Check out our reviews for yourself and discover why we are one of the highest-ranked and most trusted auto repair shops in Kitchener-Waterloo. What Causes a Car's Electrical System to Suddenly Stop Working? Alternator Problems - When Should They Be Replaced? Posted on September 23, 2017 by Hansma Marketing and tagged Car has no power.